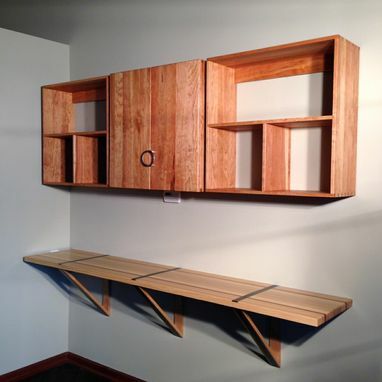 These solid cherry Wall Cabinets were designed by the customer to be functional units in his home office; but also to complement the current cabinetry & decor in his condo. Although a very basic design for cabinets, dovetail joinery is featured throughout the cherry Wall Cabinets to enhance the design. European-style hinges allow the doors easy opening/closing, & has a soft-close feature. 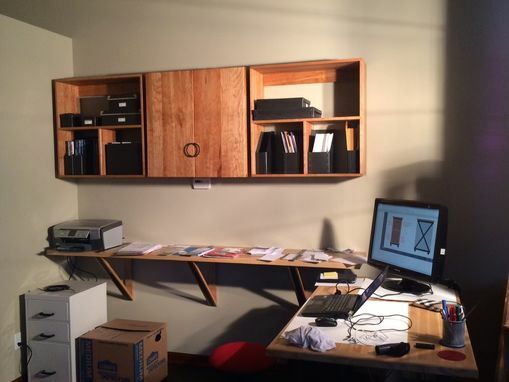 The Wall Cabinets were mounted on the wall by using matching metal hangers, which will allow the customer to easily remove them when/if he moves location. 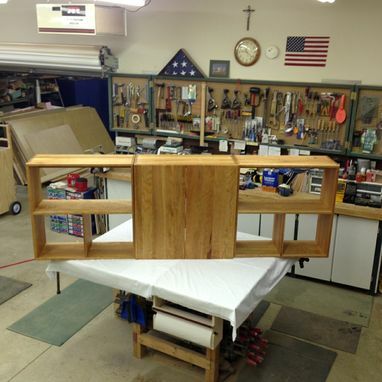 The Wall Cabinets were sanded smooth & a mix of Danish oil & satin polyurethane was applied as a finish. 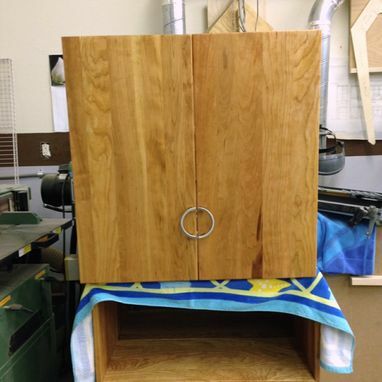 This finish will enhance the darkening of the natural cherry over time & exposure to light.